As our turkey comas wear off from Thanksgiving and the chilled air of December settles in, a New Year looms around the corner. 2009 held many large events for NASA.gov. Almost 392,000 people watched the LCROSS impact video live on NASA.gov with 5.4 million visitors simultaneously looking at the NASA.gov Web site, the second-largest online event in our history. We also set a new bandwidth record during the LCROSS impact with data transfers of over 75.5 gigabits per second spread among live video and the Web site. All-told during the LCROSS impact event, we moved a total amount of data equal to over 85 terabytes or about the equivalent of 127,327 CD’s. NASA.gov also set milestones with the Hubble Space Telescope Servicing Mission during STS-125. 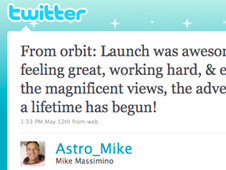 In addition to all the normal online activities that any shuttle mission usually garners, astronaut Mike Massimino captivated space enthusiasts around the world via Twitter by sending the first tweet from space. His Earth-shattering tweets also managed to amass @Astro_Mike over a million followers on Twitter, rivaling the likes of Ashton Kutcher. 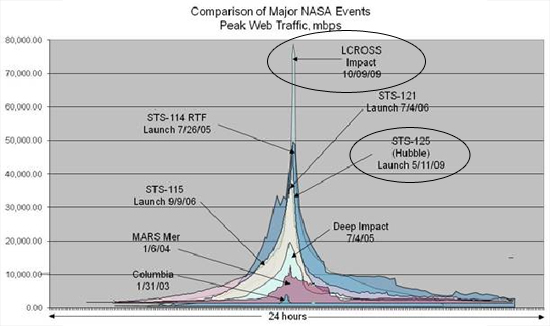 Additionally, the launch of STS-125 also resulted in our fourth-largest online event in NASA.gov history. 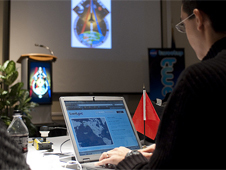 NASA delved deeper into our enthusiastic group of followers on Twitter by hosting ‘Tweetups‘ where Twitter users learn about our programs and speak with astronauts. Thus far, Tweetups have been held at the Jet Propulsion Laboratory in Pasadena, California, NASA Headquarters in Washington, D.C. and at the Kennedy Space Center in Florida. Demand for attending the Tweetup to learn about STS-129 and view the launch of the Space Shuttle from Florida culminated with the filling of our 100 registration slots, plus all the spaces on our wait-list, in less than twenty minutes. 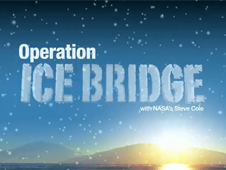 Other ground was broken in NASA’s online communications with this fall’s Operation Ice Bridge campaign, which featured an unprecedented level of near-real time coverage across cyberspace with tweets on Twitter, Webisodes on YouTube, photos on Flickr, and a blog on NASA Blogs. This precedent-setting social media coverage exceeded all expectations and is something that we hope to repeat in the years ahead. Another large online event for NASA.gov was the launch of the Ares I-X Development Test flight. While lasting just a few minutes, the intrigue of the new rocket and it’s successful test launch showed sustained interest in the days leading up to the launch, even after the first launch attempt was scrubbed. Now that we’ve talked about some of our online highlights from 2009, what other NASA events interested you from throughout the year? Revisiting the moon mission as if it was happening right now via Twitter. That was SO wonderful. I swear, I got as excited reading the twitters as the viewers at home must have been when it was happening the first time. Was a wonderful experience. The Tweetup event STS-129 was filled up in less than a minute I would say. A coworker and myself were refreshing the page waiting for the go sign, and pre captured on a file the possible info for just copy-pasting it to minimize time. The result? he lasted about 15 secs and achieved to enter the waiting list. Me? I wast too slow and took little less than a minute and didn’t make it even for waiting list, but I was able to post the data, other coworker tried a minute later found that the tweetup was closed and done not even bein able to post. We’ll try harder next time! Wasn’t the Apollo 11 anniversary a fairly major event this year? How did that not make the list? Hi Jason. I think that NASA is doing a great job on internet in the last years. I hope you continue with this, bringing to us more information and resources. I would like to ask you something. You said that the LCROSS impact was “the second-largest online event in our history”. Which one was the first? I would like to say that 2009 HAS been a milestone for all of us here. !!! I would actually say a million milestone, but I don’t know how many miles we’ve come. Hehe. MErrry SXmas to all in space. For the good of mankind you are guardians. God Bl;ess you and god speed our world. I think you guys need to also hit up Facebook. I don&apos;t understand why you still don&apos;t have a Facebook fan page(I checked http://www.facebook.com/nasa) if you are using a different name…my bad…although it&apos;s probably necessary to point out that most people will check just the nasa name, so if you are already on facebook, you are probably losing 90% of potential fans. I use both FB and twitter to interact with my users for and I find that FB is a lot more engaging for both myself and my users. you still get virality, since when people “like” one of your updates, others can see it in their stream. you can actually interact with the people in the comments. you can add the FB widget to your site, so people can become fans without leaving the site. It&apos;s not like it takes a lot of time and you get a whole other avenue to get out your message. Plus it&apos;s a numbers game, twitter = what 30-40mm users? Facebook has 300mm…much more bang for your buck. Again if you already have facebook, my bad. Previous Previous post: Tweet,two,one … Liftoff!